The VALOR fellows took it on the road for Seminar Seven traveling to Indiana, Illinois and Michigan for an exciting trip of new experiences. 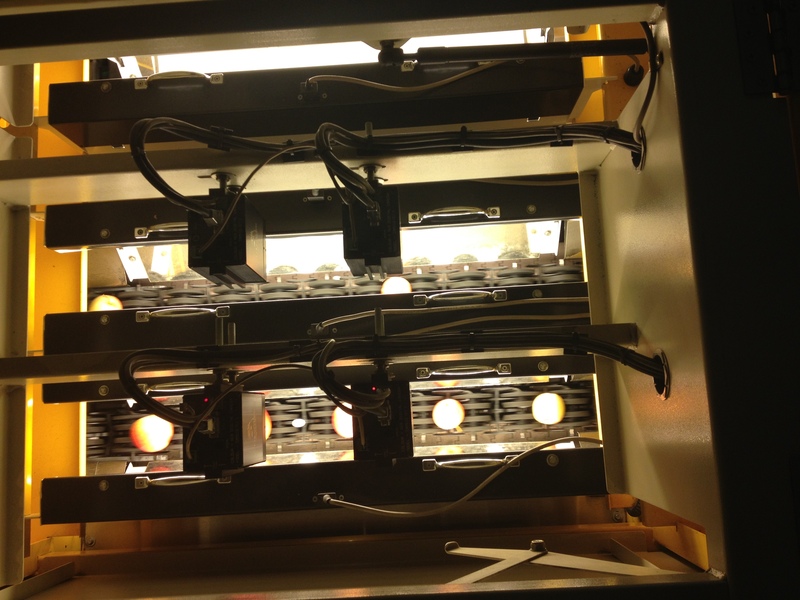 One of the best parts of VALOR is touring new types of agricultural operations. Some may be similar to what we see in our home area, but most are very different than the everyday norm for us. This was especially true when we started our first full day in Michigan with Mike and Adam Dietrich in the family packing and storage facility at Dietrich Farms. 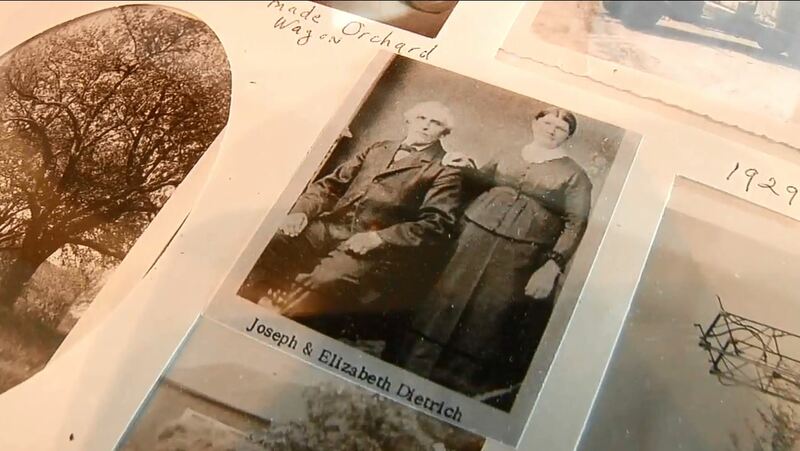 Dietrich Orchards was started by Mike’s great-great grandfather five generations ago when Joseph Dietrich moved to Conklin, Michigan from Germany in 1853 and started the farm. Since then the operation has continued to grow over the years. As the family grew bothers Al and Joe Dietrich and their cousins Mike and Jim split the farm into two business entities, Ridgeview Orchards and Leo Dietrich and Sons. We had the pleasure of touring the facility with Mike and his nephew Adam Dietrich, both of Leo Dietrich and Sons. In addition, Eric Hessler, former plant manager, helped with the tour. 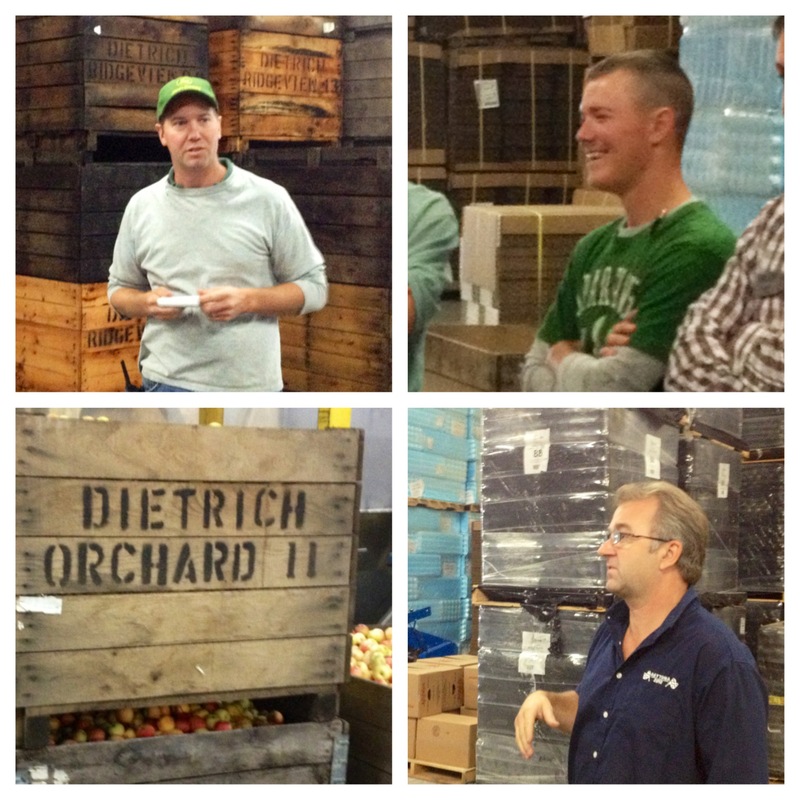 It was a real education for VALOR to hear firsthand from members of one of the top apple producing families in Michigan. It was a state-of-the-art facility where cleanliness and efficiency were priority in delivering a quality product to their buyers. 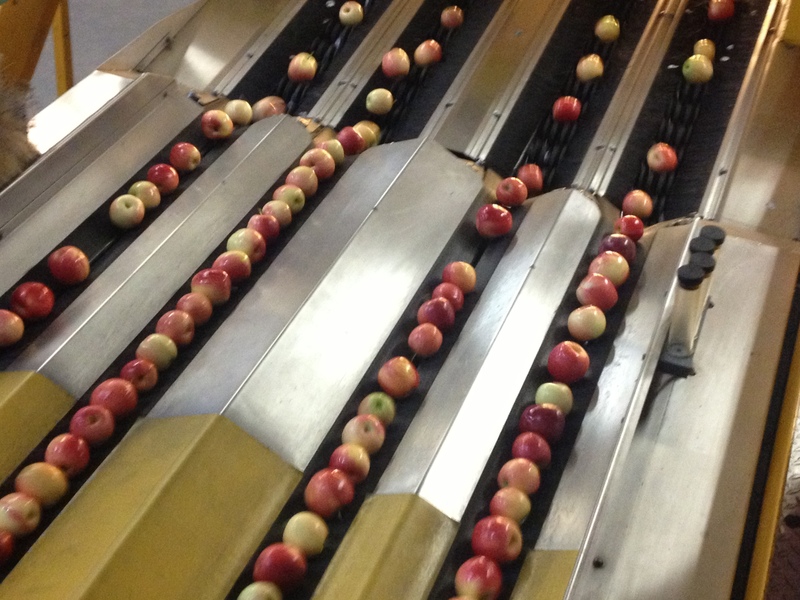 I was amazed to see the sorting of the apples as they traveled down the line being graded by computers and sent to the appropriate packaging, having first gone through washing and presorting to make sure only the best get to the consumer. Adam is in charge of audits for the business. Today, with consumers and retailers wanting to know more about where their food is from and the journey it took to get to them, many buyers are requiring audits of producer’s facilities. It takes many hours to get ready for just one audit, and every detail matters to the business. Like most places, labor is a real problem for the apple industry in Michigan. A solution doesn’t seem to be in sight, but the Dietrich family keep moving on running a great operation. Michigan ranked third in the nation in apple production with 985 million pounds produced in 2011, the estimated farm-level value was $194.7 million. According to Mike and Adam, 2012 wasn’t very kind to the producers with a drought hitting the state, but so far, 2013 looks to be a booming year for apples in Michigan, where one tree may produce more than 12 acres did last year. Leo Dietrich and Sons grows approximately 500 acres of apples and over 100 acres of sweet and tart cherries. Their growing season begins in mid-April with the planting and training of young dwarf apple and cherry trees. The summer months include picking fresh sweet cherries and packing, as well as summer pruning and training of apple trees. 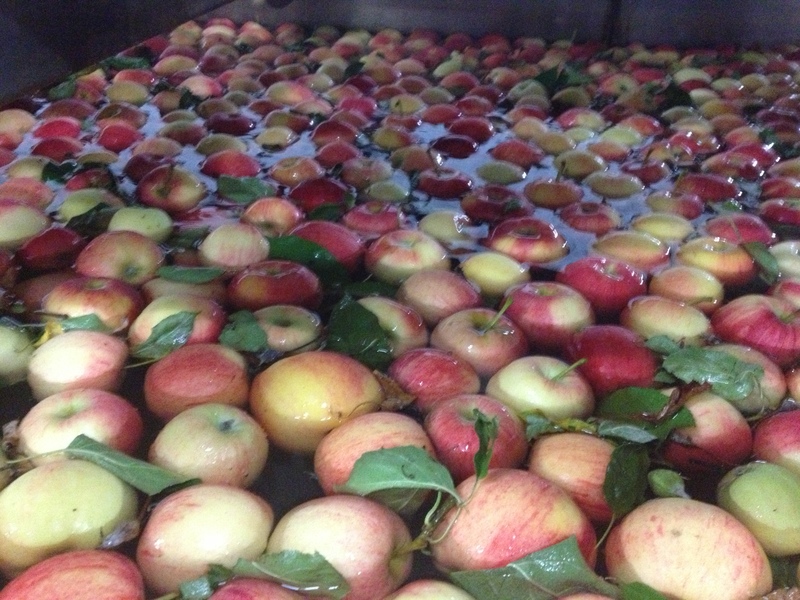 Apple harvest begins at the start of September and lasts through October. I could blog all day long on the visit with Mike and Adam, but I think I’ll let you experience for yourself with two videos pasted below of Mike and Adam that give you a great view into their operation and philosophy. One was produced as part of a series with the family by the McDonald’s restaurant chain, the other by Michigan State University. A big VALOR thank you to the Dietrich’s for allowing us to visit their wonderful operation! Great article, Andrew! And nice work integrating the McDonald’s product supplier commercial! And great job adding video! Your so tech savvy. Nice post, great use of photos with captions. I need some schooling on how to do that.